What is the DI Rating? 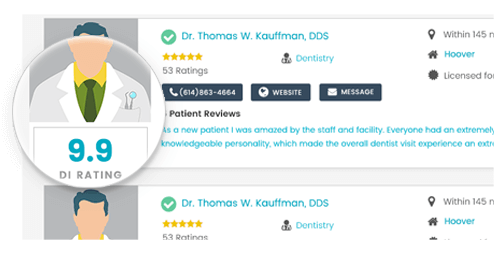 The Dental Insider Rating, or "DI Rating," is the reliable score patients use to find trusted, top-rated dentists in their area. As the Internet's largest directory of dentist ratings and reviews, Dental Insider provides patients with the trustworthy information they're looking for to make an informed decision when they're searching for their next dental professional. How is DI Rating calculated? At Dental Insider, we incorporate sentiment analysis into our DI Rating. Sentiment analysis is a tool used to decipher the emotional tone in online reviews. We use patients' positive and negative opinions to help you determine how patients feel about a dental professional or office. 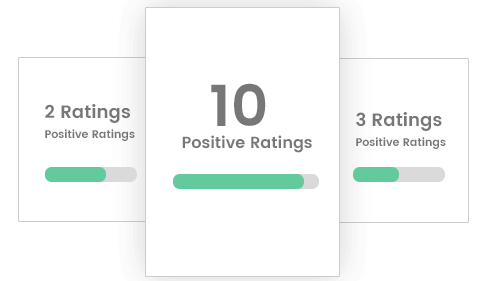 By compiling both positive and negative reviews from trusted sources across the Internet, Dental Insider designates a DI Rating, ranging from 1-10, to each dentist. Dissatisfied reviews cause the DI Rating to move toward a lower score, while satisfied reviews will move the DI Rating toward a higher score. The DI Rating also takes the number of reviews published into account. For example, a dentist with ten positive reviews will be given a higher DI Rating than a dentist with two positive reviews.